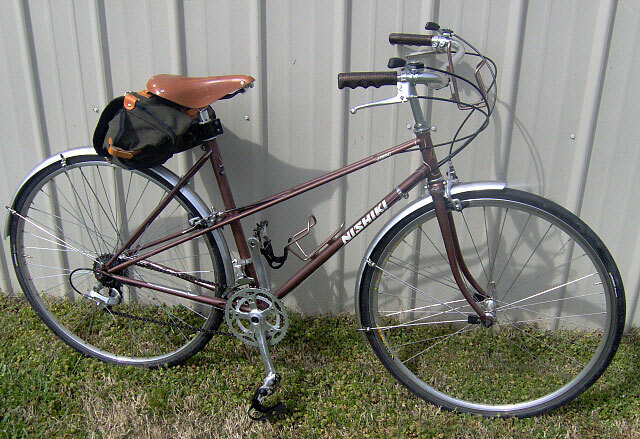 This is my Nishiki Sebring Mixte. 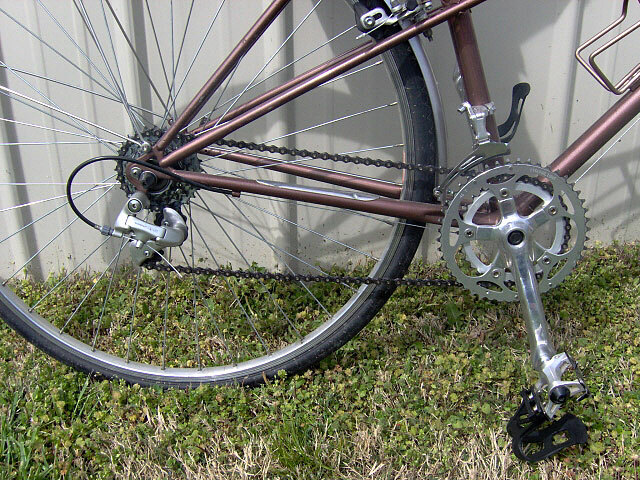 It has Nitto Dove bars, Terry T stem, Dia Compe levers, Dia Compe 500 brakes, Suntour Cyclone Front Derailer, Shimano 105 Rear Derailer, Sun Race Thumb shifters, Dotek crank 160 length with 46x34 chain rings. Suntour Cyclone track pedals with half clips. 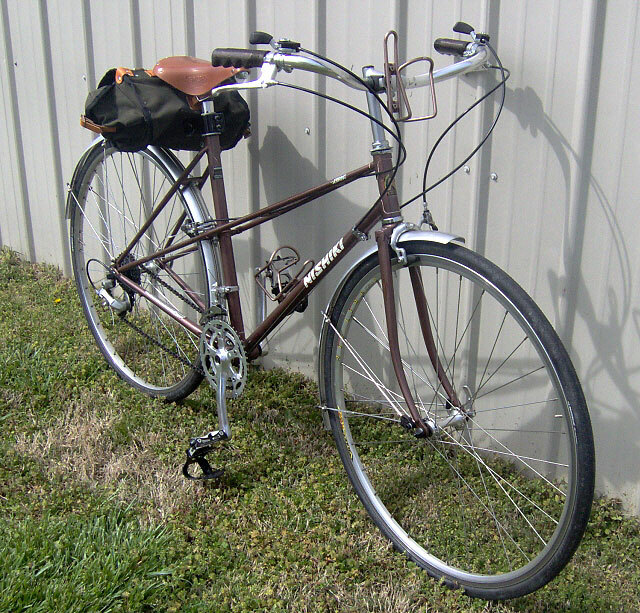 Brooks B-17 Honey saddle with Caradice barley saddlebag. 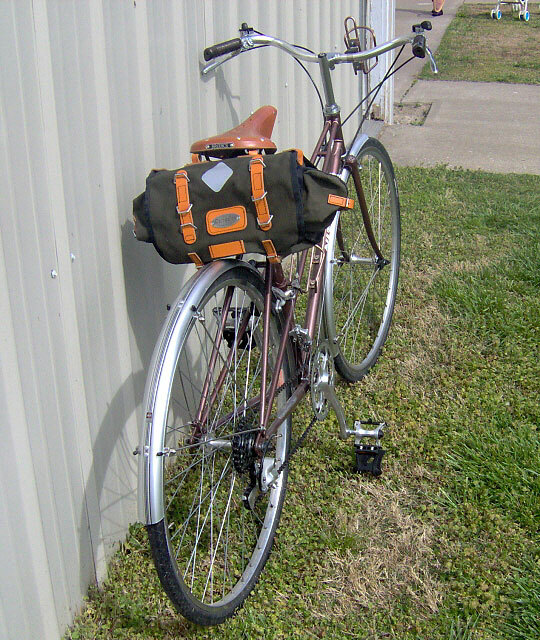 SKS fenders.